Yesterday, the wife asked me to use the resources on here to make her a Prawn Curry with some 3 in (9 cm) King Prawns that she had bought. Now, she doesn't like it very spicy, so I didn't add the fresh chilli, I guessed at the amount of salt (1 tsp) and I didn't have the cane vinegar so I used the white vinegar. as suggested and followed the Method. I will try it again but with a couple of small adjustments, that the wife has suggested/requested in that I make more of a sauce/gravy by adding a small amount of fresh cream and only use about 1/2 tbsp of vinegar. Other than that, she quite liked it and has already been out and bought more Prawns! That looks pretty good BAJ. Prawns are good and I have a few dishes I cook often. Not just Indian though. 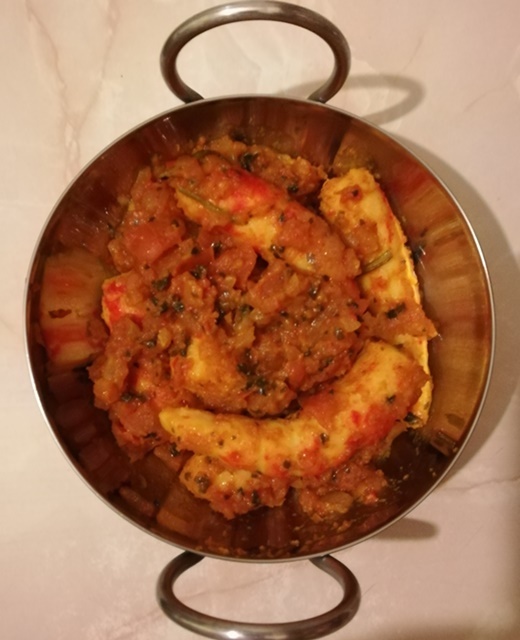 I'd be happy to show you a recipe for Masala Shrimp which is a favourite in my home. You'd be pretty safe that white vinegar is just cane vinegar anyway, ie: made from a ferment of simple cane sugar. No malt, apple, coconut, wine or other flavoured ferment = white vinegar. Mmmm nice King Prawns, loads of BIR dishes for those. A bit messy to eat with the shell on, but well worth it in a good sauce. Look here for the Masala Shrimp recipe. I've been cooking it for years. Yum.